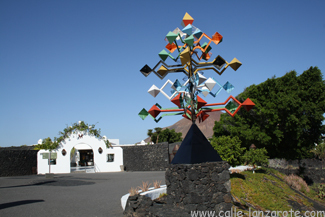 Located just off the main LZ-1 road between Arrecife and Tahiche where it crosses the LZ-34, the Fundación César Manrique is actually the name of a charity that is housed in the building, but it is the sign to follow to see the house where the artist himself once lived. Demand for property for sale in Lanzarote priced above the €300,000 mark has fallen flat. According to figures recently released by one of the islands largest property portals, Lanzarote Guidebook. An analysis of 636 property enquiries received during the first two months of this year revealed that overseas investors currently have little interest in villas and houses. And are instead opting for apartments and studios. Suggesting that recent changes in market conditions and consumer confidence are stifling demand for the more expensive properties currently on the market. Whilst investors instead turn to lower risk and lower cost options. According to Lanzarote Guidebooks figures 83% of all enquiries received in January and February 2008 were for properties priced €300,000 or below. Whilst properties priced below €150,000 attracted 43% of all enquiries. And demand falls as price rises – with properties priced in the €300,000 to €500,000 bracket accounting for 10% of all enquires. Whilst properties priced above the €500,000 mark proved to be of interest to just 3% of all overseas investors.